Famed Mexican City Chef Gabriela Camara uprooted herself and moved to San Francisco when she opened Cala last August in the Civic Center. More than two years in the making, it was one of the most anticipated restaurant openings last year. Full to capacity almost every night since they opened, Cala has redefined what upscale Mexican food in California should be — a great blend of pristine ingredients with a nuanced level of spiciness. Owner/Chef Camara has successfully adapted locavore sensibility to her Mexican food; all of the ingredients down to the masa marina used for tortillas and sopes are locally sourced. The menu offers about 20 items that are seafood and vegetable centric. There are house specialty mainstays along with seasonal items that change based on availability. 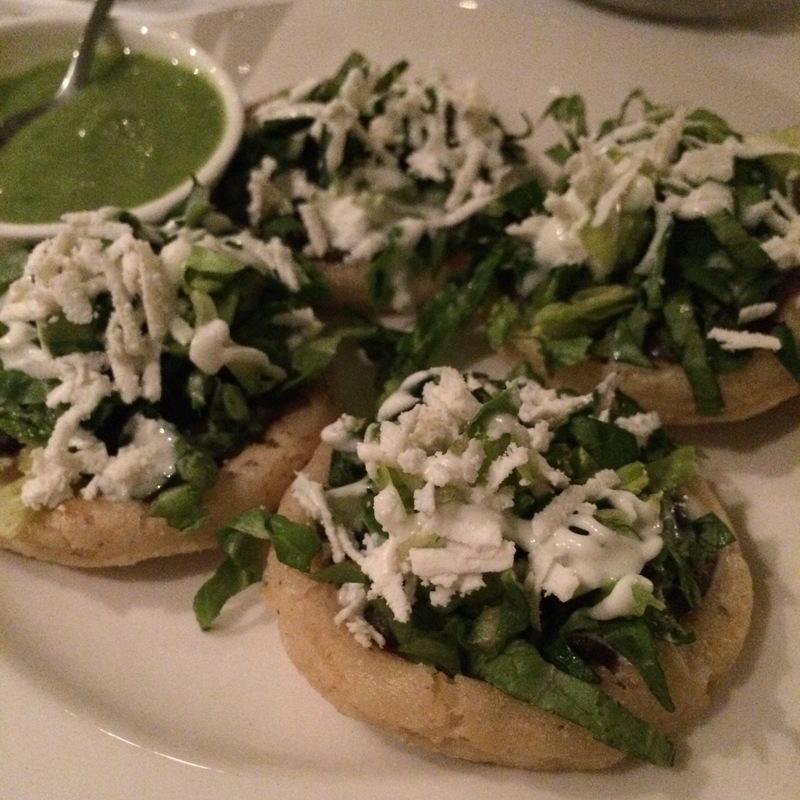 One of the house specialties, the Sopes Players, comes topped with midnight black beans, crema and grated ricotta cheese. Each savory sope is a perfect two bites, and the shell magically stays intact after the first bite. 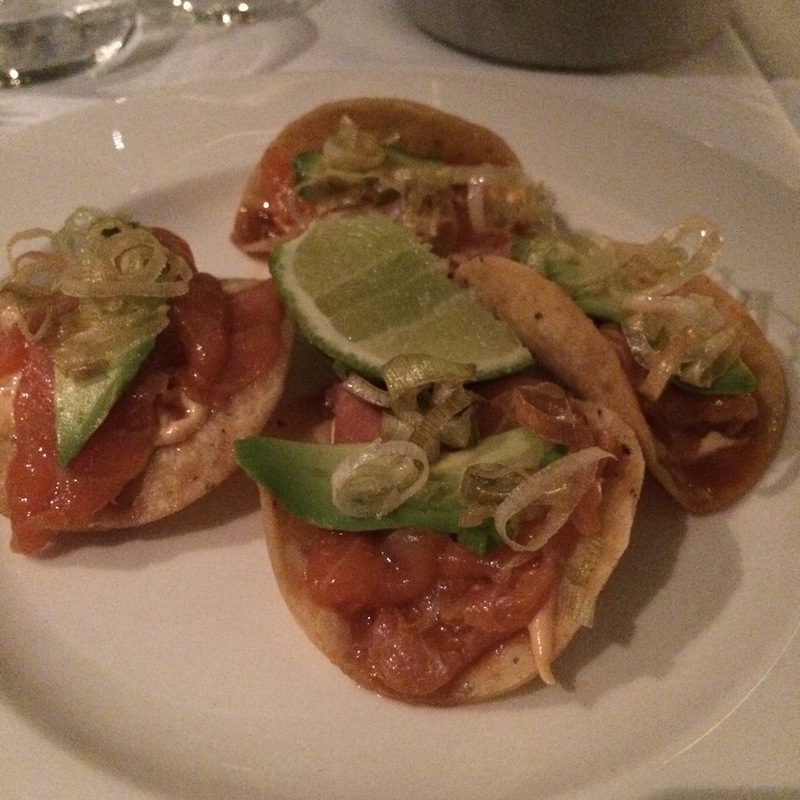 The Trout Tostada has easily become our favorite item from the menu. The crispy tortilla rounds are topped with trout that is lightly flavored with chipotle and then topped with avocado and pan-fried leeks. A squeeze of lime adds just the right amount of acidity to their signature dish. 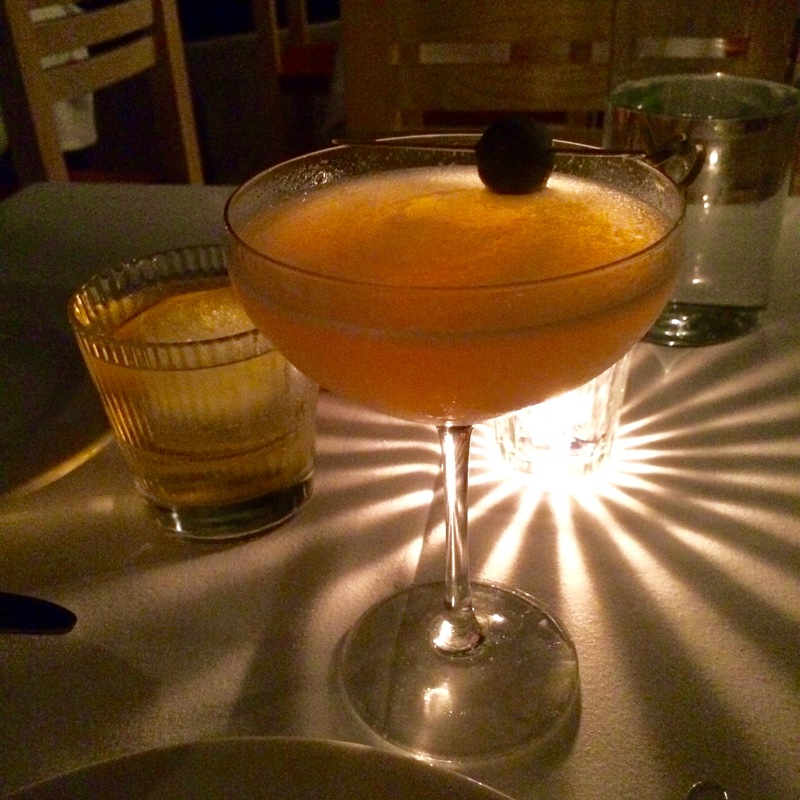 Many of their cocktails are centered around Mexican spirits such as Tequila and Mezcal. The cocktails themselves have changed since opening but the mezcal-based Boulevardier (rear) and the Pisco-based spritz were very good. The Chicharron with Bay Shrimp, one of the few dishes that wasn’t purely seafood or vegetarian, is one of the items we wish would come back to their menu. 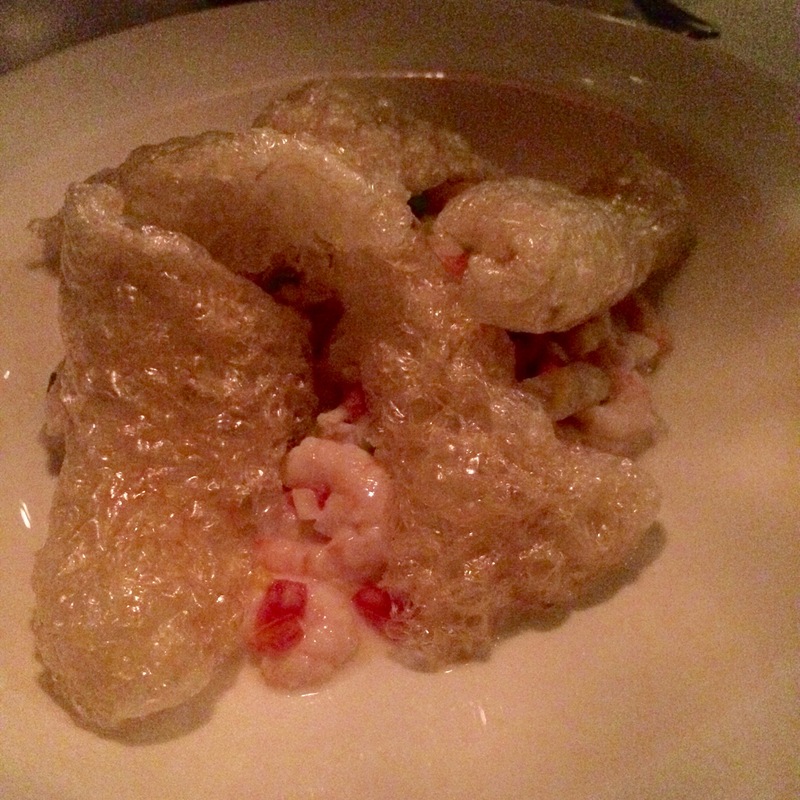 The crispy and airy pork rinds served as perfect vehicles for the shrimp ceviche that was delicately flavored with habanero chili. 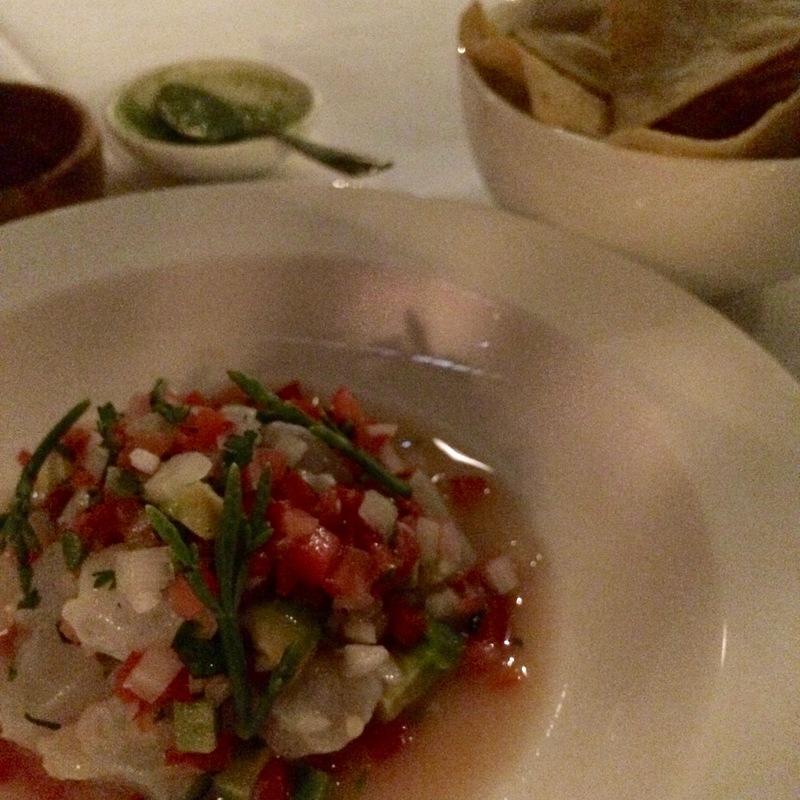 Halibut Ceviche is one of the mainstays on the menu; however, the preparation changes with the season, The version we had was “a la Mexicana” with avocado, tomatoes and radishes. A bowl of crispy triangle tortillas accompanied the fish dish, providing a crunchy textural contrast to the fresh fish. 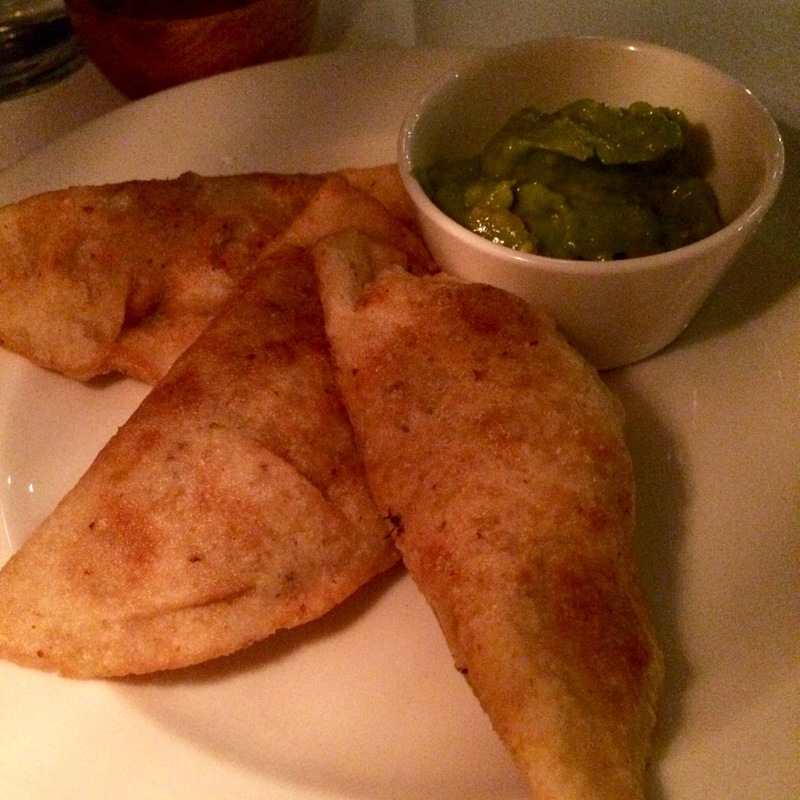 The Quesadillas here look more like empanadas. Each fried pocket comes filled with cheese and seasonal market greens or mushrooms. Accompanied with a salsa verde in this case, they were not overly cheesy but tasty nonetheless. 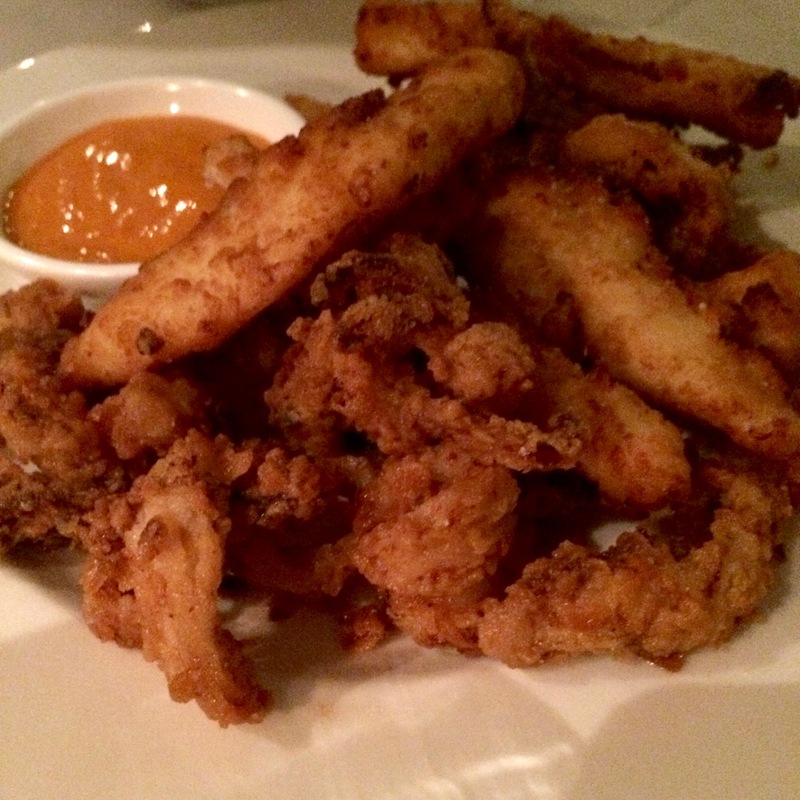 The kitchen knows its way around a fryer, and we really liked the Squid and Fish Frito Mixto. It turned out to be one of their larger dishes for a smaller plate and is extremely satisfying. This version came with ling cod as the fish component, but the current incarnation has fried trout instead. Although we have chosen to go with shots of Mezcal to accompany our dishes most of the time, we do like the fact that their wine list is not exclusively local: they offer a good mix of Spanish, Italian and Californian wines. Since the dishes are seafood centric, we suggest sticking with a white or rose wine to accompany the meal. 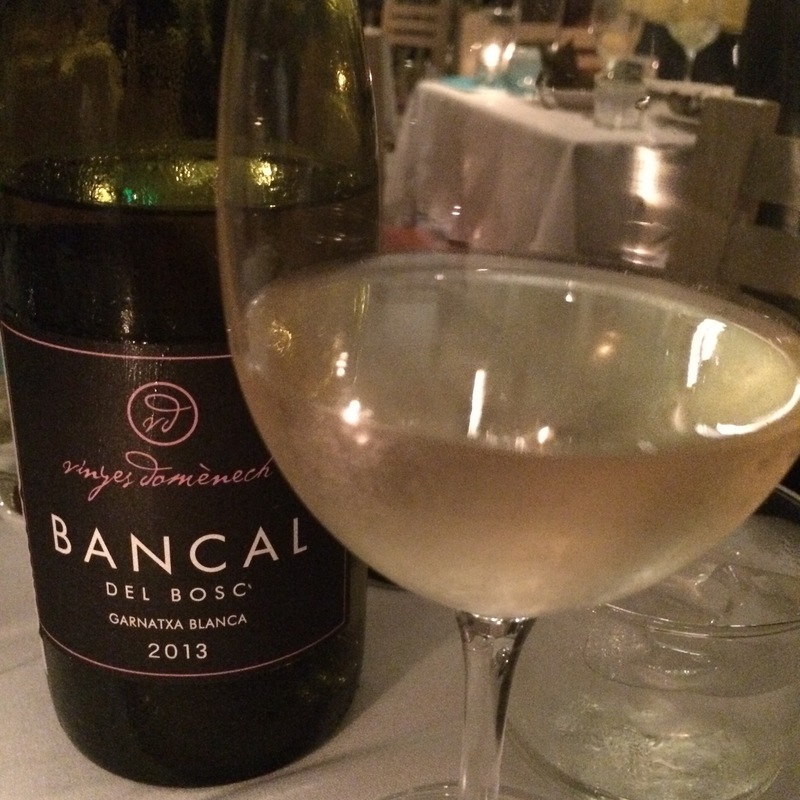 This 2013 Bancal del Bosc white wine made from a grenache blend from the Monsant region of Spain was a great match. 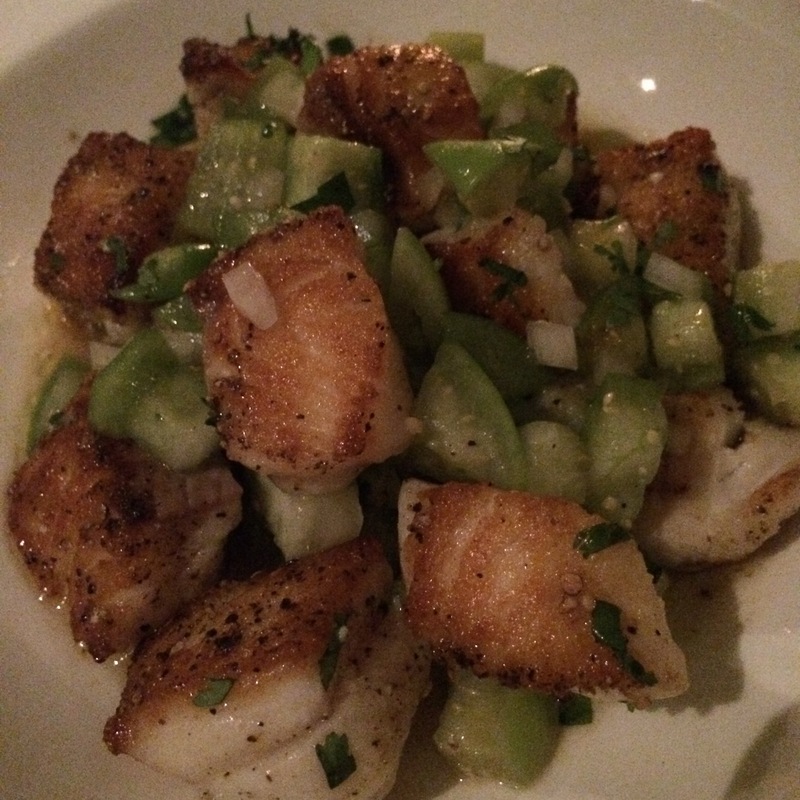 One of their larger items on the menu is the excellent Salpicón with tomatillo and cilantro. The ling cod was perfectly fried to a crisp but was still flaky. The crunchy tomatillo offered a great contrast in texture and added a nice tart flavor to the overall balance. The restaurant atmosphere is beautifully decorated with a mostly white decor and plenty of lush green plants. Most impressive is that it is the first restaurant in the City to install the Meyer Sound acoustic system, which uses active noise cancellation to control the sound level such that conversations with dinner companions are possible. 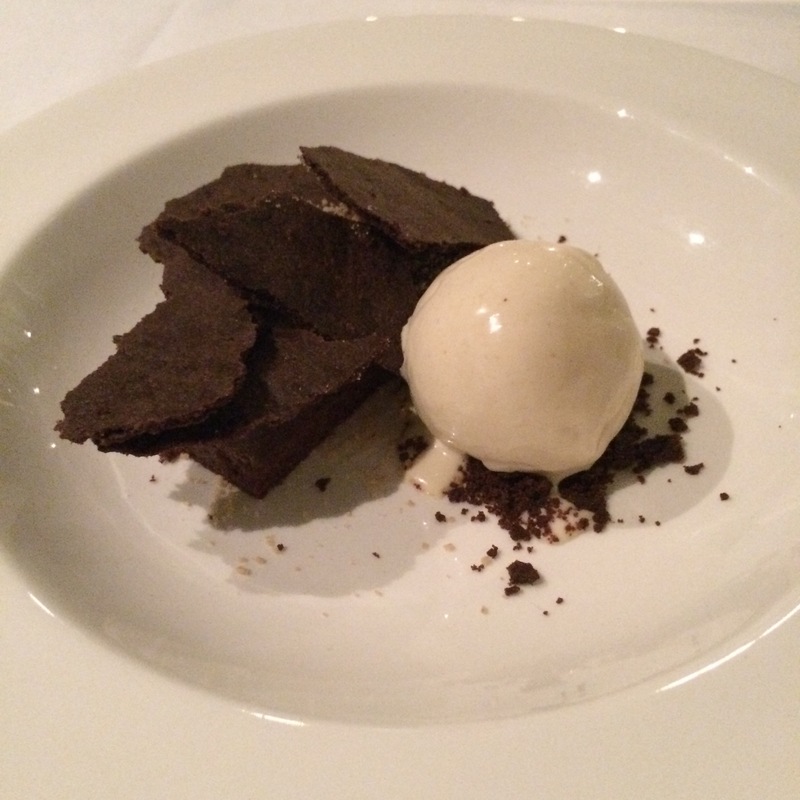 We don’t often get desserts, but had to try the chocolate ganache with broken wafers of chocolate cookies, with ice cream of course! 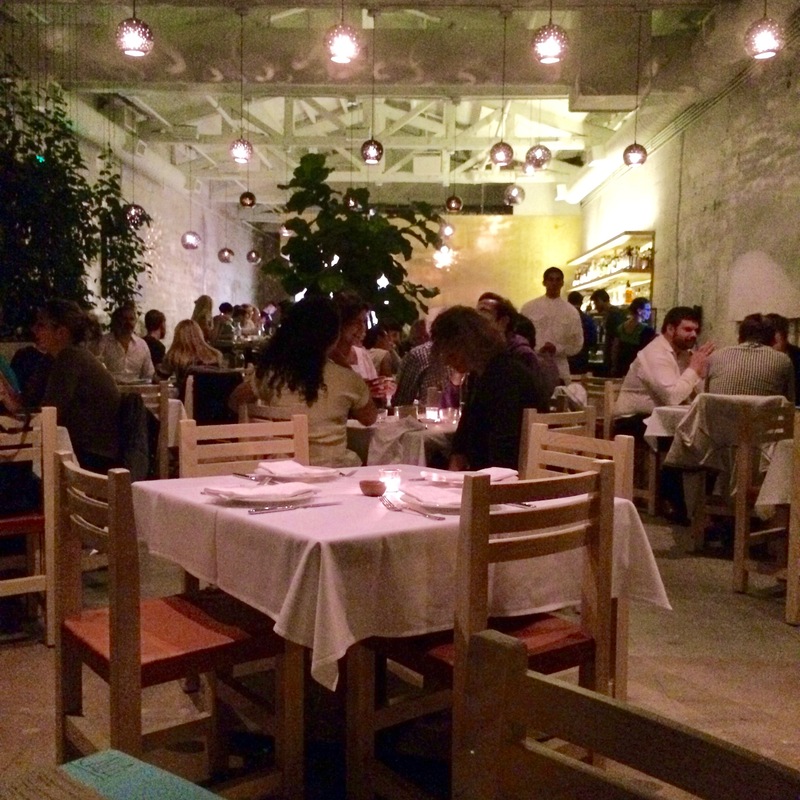 When Cala initially opened, it was one of the restaurants where pricing was all inclusive, tips included. They reversed that decision two months in and adjusted prices accordingly, but still add a 20% service charge to the final bill. On our visits, service was well-meaning if not always efficient, as many of the serving staff admirably come from a rehabilitated adult re-entry program. Chef Camara has since opened Tacos Cala, a more casual taqueria at the back alley of the restaurant, offering tacos (with the same handmade tortillas) for $3.50 each at time of publication. In addition, Cala has added brunch and “Tapas Cala”, a Friday and Saturday happy hour of sorts from 5-7 pm. We will soon return to try these out.